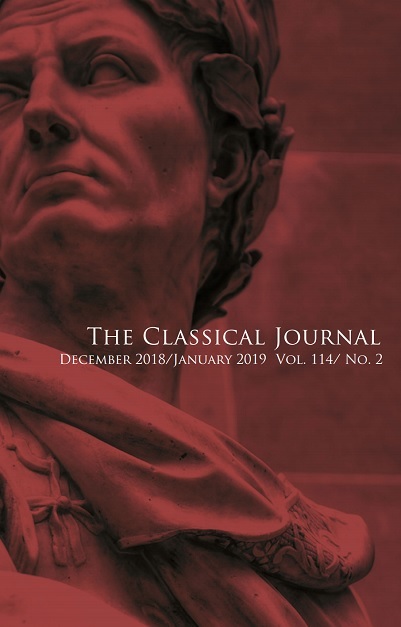 While scholars have acknowledged intratextual relationships to another episode in the BG, Caesar’s account of his defeat at Atuatuca is embedded in a more complex field of textual references. The locus of two generals dangerously disagreeing is found in Greek literature and historiography; Caesar’s vocabulary especially connects Atuatuca to a famous episode by Polybius. These references help to situate Caesar in Greek and Roman literary tradition and demonstrate that the dynamics of imitation, competition and appropriation typical of poetry from the Augustan age were well established in prose authors of the late Republic. At Livy 22.14, M. Minucius Rufus’ speech against Q. Fabius Maximus exhibits differing interpretations of Latin pastoral’s effects. While the Livian narrator highlights the presence of war in Campania, a region of otium, Minucius focuses on Fabius’ idyllic, pastoral retreat from martial duties. The emphasis placed on otium and amoenitas throughout the passage gestures to a fictional world that ultimately remains unrealized. Attempts by Minucius to cast Fabius as a pastoral figure at odds with his legacy in Latin epic and historiography fall short. In the end, pastoral poetic features actually undermine Minucius’ understanding of Fabian delay (cunctatio). This article explores the phrase Cadmea proles, a Latin hapax, in Seneca’s Hercules Furens 268. Through attention to philological intertexts and the dramaturgy of the passage, I pursue two separate but related lines of inquiry: the first is to argue that Cadmea proles alludes to, among other things, the myth of Oedipus, specifically in its dramatic staging by Sophocles and by Seneca himself. The second is to suggest that the Oedipal intertext, hardly surprising in a Theban play, introduces, on a microscopic level, some of the broader themes of the Hercules Furens, especially its concern with legitimacy, identity, and referential instability. Long regarded as the locus classicus for Roman antipathy toward contemporary Greeks, Juvenal’s third Satire articulates the views of the narrator’s “friend” Umbricius, who wishes to escape the flood of immigrants he sees as transforming Rome into a “Greek city.” This article attempts to unpack the relationship between the graecophobia ascribed to Umbricius’ persona and the realities of ethnic prejudice in imperial Rome. The inconsistency of his argument is approached from various angles, highlighting the difficulty of situating this elusive and intractable text within the social realities that existed beyond its margins.